RoyalVegas.com is a well known ”player” in the world of online gambling. They were established in 2000 under Fortune Lounge Group of Casino, which is a company that apparently owns and operates several other online casino sites empowered by MicroGaming. We have a fair bit of MicroGaming powered sites listed and reviewed here at bestcasinos.co, but seems like none of the ones operating under the JackpotCity group will even come close to what RV and Fortune Lounge have on the offer here. Truth be told, the level of offerings by these guys is on another level. I’m referring to the marketing side of things here since MicroGaming kind of limits their casinos to offering a certain set of games that often does not allow them to reach the full potential they have. It’s MicroGaming who are responsible for development of all games and software platform offered by Royal Vegas. If you’re familiar with other ”properties” of their, no questions should be asked, as you’ll already be well aware with the fact that RoyalVegas Casino is mobile compatible and also available in no download or downloadable casino version. When it comes to their mobile platform, I believe that MicroGaming and thus also Royal Vegas hold sufficient offerings, but they are not even close to being world class or alike. There are around 40 mobile casino games that you’ll be able to play on iPhones, iPads, most Android powered devices and BlackBerry smartphones. Though I am probably too pessimistic in regards to what they offer, since after comparing it to average Joe, I’ve determined that MicroGaming does have one of the top mobile platforms, sadly. There are over 500 games offered by Royal Vegas, if we quote what they have states on their homepage. I believe MicroGaming have developed an amount of games that is quite close to that number, so it might be spot on. The bad news are that most of those 500 games are outdated and developed sometime between 2000 and 2003, when technologies and standards in online gambling were much lower than they are now. The good news? Those are that MicroGaming, albeit not at the same pace they used to, are still developing and releasing new games on a close to monthly basis. There are around 150 to 200 games that are somewhat modern and should easily fit your requirements. Most of them are available via no-download, instant flash version of the casino. Lets browse the top 5 of them, in my subjective opinion. Immortal Romance: relatively recent slot machine release that saw daylight in December of 2011. It’s believed that ”IR” is based on the saga Twilight, but since MicroGaming have not purchased a license, they have denied it officially. In hindsight, it is a rather simple 243 ways-to-win game with a randomly appearing special feature, turning regular symbols into substitutes, but the most important and valuable feature is probably the chamber of spins. This was, at the time, new feature implemented by MicroGaming that allowed players to enter a tiered system of free spins. It was actually rather fair in terms of rewarding loyal players who played longer sessions and allowed them to trigger features that were of higher value. Bust The Bank: a new slot, released in mid 2013 and continuing the popular series of ”break da bank” slot machines. This one is way more advanced though and offer 243 ways to win, a randomly triggered wild feature, free spins and of course the gem – ”smash the piggybank” feature that will allow you to do exactly that for a pretty lucrative credit payout. Mega Moolah: no list of the best MicroGaming slots can be made without this legendary 5 reel, 25 pay-line progressive gambling machine. Moolah was initially released in 2008 and has since awarded over $100 million in progressive payouts, which only includes ones from the highest jackpot offer, also known as the mega jackpot. Even though the time has definitely passed this slot, it still remains popular and played by casino punters. At the time of writing this review, the highest jackpot was in excess of $1 million. The Dark Knight: seems like there is or better said WAS an untapped niche in lack of Batman slot machines. Yes, Cryptologic had one of these, but it was not even close to great and was really just reasonable at best. Well, now this niche has been filled and you’ll be able to play a ”243 ways to win” online slot with the dark knight appearing on the reels. Best thing of all is that this machine is also linked to the Mega Moolah progressive network, which means only one thing – a shot at multi-million dollar progressive payout every time you play! Secret Santa: new MicroGaming slot, released just in time for Christmas and based around theme exactly alike. It features 1024 ways to win, 5 reels and quite an unorthodox concept of 4 rows. The maximum win quoted on this game is £115,000, which is achieved through free spins. Don’t overlook the secret Santa bonus, which awards pretty lucrative prizes, as well as my own favorite feature – mystery multiplier that can add up to 10x. All three bonuses are subject to wagering requirements and all hold equal ones – bonus amount will have to be played through for 40 times its amount, before a withdrawal request can be processed. This is probably the last of important things I check before joining a casino. First, does the particular casino I’m about to play at offer my preferred methods of purchasing and selling chips? Second, what is the average wait time until withdrawals are processed. I join and deposit at a casino only when I like what I’ve just found out in regards to payments. Well, mixed feelings raised after I did some research about these topic for Royal Vegas. Banking method variety was more than proficient, but what I wasn’t happy with was the waiting time for withdrawals. These seem to be processed within 48 hours from the side of Royal Vegas and then that timeframe is increased even more, until payment processor actually goes through with the transaction. That’s not how casinos should operate in 2014, that’s for sure. Well, unlike it is with payments, customer support is up to ‘par at Royal Vegas. You can get in touch with them in a wide variety of ways, some of whom are in no way ordinary for this industry. Note that the last four are completely free, which means that Royal Vegas wants to provide their customers the best possible service, while offering it completely free of charge. There are about 70 online casinos powered by MicroGaming software so why exactly you should choose this one instead of the other 69? 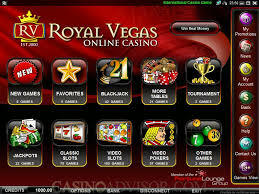 Well, Royal Vegas is definitely among the most rewarding ones in terms of bonuses and promotions for their customers. Secondly, their reputation is crystal clear and they have been operating for 13 years now, which definitely stands for something. Lastly, they provide fast, professional customer support through a handful of methods that aren’t provided by others. All in all, a better question would by why you SHOULD NOT choose to play at RoyalVegasCasino.com instead of the other way around.